After knocking on 4,000 doors during her campaign for Missoula City Council, Julie Armstrong promised – herself and her constituents – that she would find a way to provide property tax relief at a time when those assessments are on the rise. “I was shocked at how many people in my ward – Ward 5 – are over 60,” she said. “A lot of them own their own homes, so property tax is a bill they get each year. And it’s a significant expense when it goes up 500 bucks. It’s eyeglasses. It’s prescriptions. It’s food. You notice every increase. A year-plus later, Armstrong has a way to help Missoula taxpayers and a majority of her fellow council members are in agreement. Starting this summer, residents will be able to apply for grants to help pay their city property taxes – if, and it’s a big if, Armstrong can convince donors to contribute to the relief fund. Approved on a 10-2 vote of the City Council, Betty’s Fund will broaden the options that citizens have when they are overwhelmed by property tax increases. More importantly, she said, the program will steer applicants to other relief programs as well, potentially doubling down on the total tax savings. But that’s where the city’s new program can really make a difference for those taxpayers with the least ability to absorb a significant increase – because Armstrong and city staff members have designed the local effort to tie in with tax relief programs offered by the state of Montana. In her research, Armstrong found four programs through the Montana Department of Revenue that can reduce the amount of property taxes paid by homeowners. And DOR staff members told her that 40 percent of Montanans who are eligible for the tax credits never apply for the relief. So Missoula’s new effort requires a taxpayer to apply for one of the state programs first, then to apply for the local tax credit. The savings could be as much as $1,500 to $2,000 for some taxpayers, she said. Elderly homeowner tax credit. Montana homeowners (and renters) age 62 and older may receive up to a $1,000 refundable tax credit. Eligibility is based upon a taxpayer’s age, residency and income. Total household income must be less than $45,000. Property tax assistance program. This is an income-based award, with the percentage of tax relief determined by that income. The lowest-earning taxpayers can receive an 80 percent credit on their property taxes. Disabled veterans assistance program. Veterans who are 100 percent disabled and surviving spouses are eligible for this property tax relief. The city of Missoula’s new program also will be open to residents who qualify for the state’s Low-income Energy Assistance Program. The state programs will do the vetting, ensuring that applicants for tax relief from Betty’s Fund are deserving of the assistance, Armstrong said. Of course, the fund won’t have dollars to contribute unless private donors fill the coffers. So Armstrong’s next order of business is to solicit corporate partners willing to put money into the account this year. 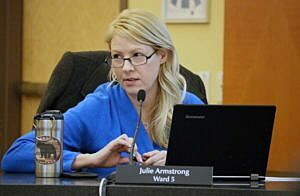 Armstrong will donate her time this year to administer the program, then hopes the city will be able to use existing staff members to process the applications and administer the payouts. City Councilman Jon Wilkins is among the fund’s strongest supporters, and in fact gave the program its name. “If this helps one person, it’s done its job,” he said. Betty, the fund’s namesake, lost her home after she couldn’t pay the property taxes. The house was sold to an out-of-state corporation. Maybe Betty’s Fund will help other desperate taxpayers find out about the tax relief available from the state of Montana, Wilkins said. Maybe someone will be able to stay in their house who otherwise would have lost that opportunity. There are no guarantees that the program will succeed, Armstrong said. For example, if donors do not come forward, there will be no funds to distribute. Betty’s Fund has been established and is ready to accept donations, Armstrong said. Businesses and individuals can send those donations to Betty’s Fund, City of Missoula Finance Department, 435 Ryman St., Missoula, MT 59802. Applications for the relief will be accepted beginning July 1. For questions, contact Armstrong at jarmstrong@ci.missoula.mt.us.